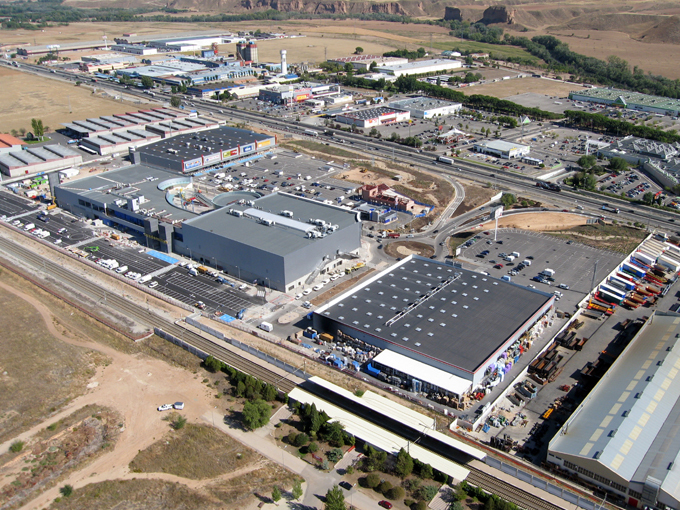 A two-level retail and leisure park in Alcala de Henares, 34 km North East of Madrid with excellent access and frontage to the NII highway and 2500 parking spaces. Catchment area of 550,000 inhabitants within a 20 minute drive. The €115 million development comprises 45 units of retail and leisure space including anchor tenants like Brico Deport (6,000m2), Jugetilandia Toys (1,700m2), Aldi Supermarkets (1,300m2) and the Belgian retailer Casa (600m2). The leisure space is anchored by a 19-screen, 5000 seat cinema of the ‘Cines la Dehesa’ group (9000m2), the second largest in the Madrid region. The centre was designed by Canadian Consultant Ron McCarthy together with the Spanish architect Cubillos & Esteban whilst US lighting specialist Theo Kodos designed the lighting concept.